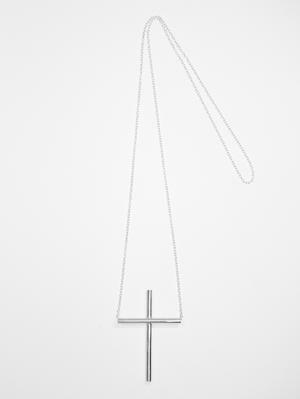 Handmade cross made of silver pipe where the chain runs through the horizontal pipe section. Height 5 cm width 3 cm. Chain length 59 cm.